Chrome is the most popular and powerful browser out there that proves to be a great companion of the developers and designers. The thing that makes chrome more awesome is its extensions support. 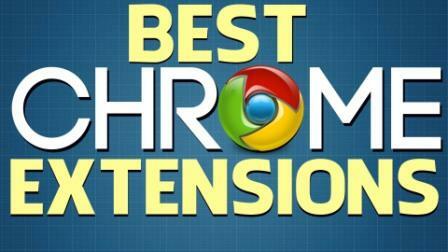 In this article, we have listed the 10 Most Amazing Chrome Extensions for Designers. The TecHealthExperts team shared the best chrome extensions with us and recommended these extensions for designers, they said that a designer must use these extensions once in his life. Wonder why your Chrome gets stuck or takes a lot of juice out of your RAM when leaving multiple tabs open. Great Suspender takes out the burden of managing RAM allocated to each of your tabs when not in use after some time. You can adjust this time in the options menu. With this you can open more than 10 pages without affecting the speed of your Chrome. Great Suspender is one of the most wonderful Chrome Extensions for Designers. Panda is necessary for a Designer to be updated with all the things that is happening around the world of Creativity. Panda is a News Board that gives you the updates of blogs and websites that are popular among Designers and Developers. Currently there are 64,000+ Users using Panda in there Chrome to stay inspired. When you install panda it replaces your new tab. So that whenever you open a new tab, panda opens. Pocket is a great bookmark chrome extension that lets you save websites that you want to visit later. It organizes websites in a grid so that you can navigate easily. With Pocket, you can keep track of interesting things on web and sync it. So that you can enjoy it anywhere. It is available in all the platforms and is the best tools that you can add to your Chrome Extensions for Designers list. Evernote Clipper is one of the coolest extension for Chrome. With Evernote clipper you can take clips, annotate and generate an URL which you can send it to your friends easily. There are also customized clips for websites like Youtube, Amazon and LinkedIn. With these Special Formats you can easily get the stuff done. If you are spending more time on web then you should install this tool. Productify helps you to visually see what all WebPages you have visited and shows you the most visited page so that you can spend your time correctly on web. This brings productivity to your workflow. Every Designer needs to choose the theme color before designing it. To do so, Photoshop is a great tool but it takes some time to get used to it. You can easily generate a Color Palette using Color Palette Pocket Extension just by hovering over an image and pasting it in your code. It stores the color code in Hex format and keeps it synced so as to use it on other devices. Todoist is a To-do task Manager that can sync, backup , organize with filters, colors and tags. You can easily access it from any device as it supports 15 Platforms. Collaboration with other device is easy. It is the easiest way to identify a Font on a webpage without even opening Chrome Developer Tool or Firebug. With WhatFont you can inspect the font just by hovering over the Word that you want to learn about. It Supports Google Fonts and Typekit. Want Information about the Color that you like? ColorHexa is the Chrome Extensions for Designers that gives you quick access to the color database and providing awesome information about the color in details like Color Shades, Generate Gradients for a Color, Change Format of a Color etc. Page Ruler Chrome Extension helps you to get the exact width and height of anything on the webpage. You can just use the Ruler and get values in Width and Height. It also shows you the top, right, bottom and left position of the Element. Page Ruler has something called “Element Mode” using which you can get the dimensions of elements by hovering them. So these are the best chrome extensions for developers & designers. Did you used any of these? or have few more to add? Share your thoughts with us in comments below. I'm not sure if it's the extensions itself or my i5 and 4gbRAM, but with just a couple of the ones you mentioned, I'm having some serious performance issues.